Stop Paying High Prices for Hospital TVs! The HC20 is a cost-effective solution. Stop Paying High Prices for Hospital TVs! 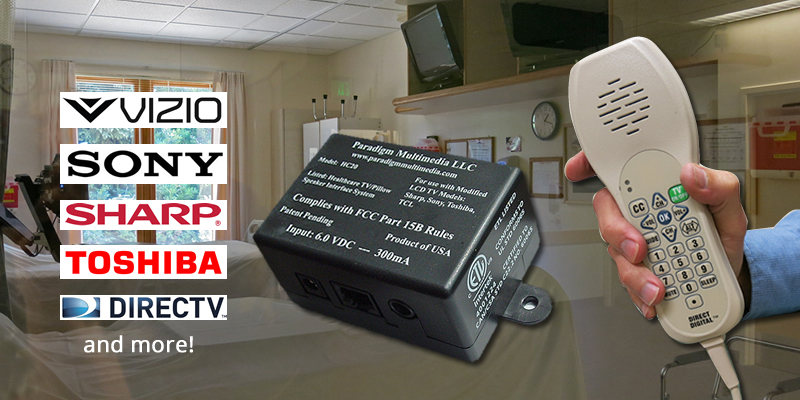 The HC20 from Paradigm Multimedia can have a major impact on the costs of healthcare TVs for your facility. By working with a broader range of commercially available televisions, using the HC20 in your facility means you are no longer stuck with purchasing expensive hospital grade TVs. A cost-effective healthcare TV solution positively affecting your ROI! 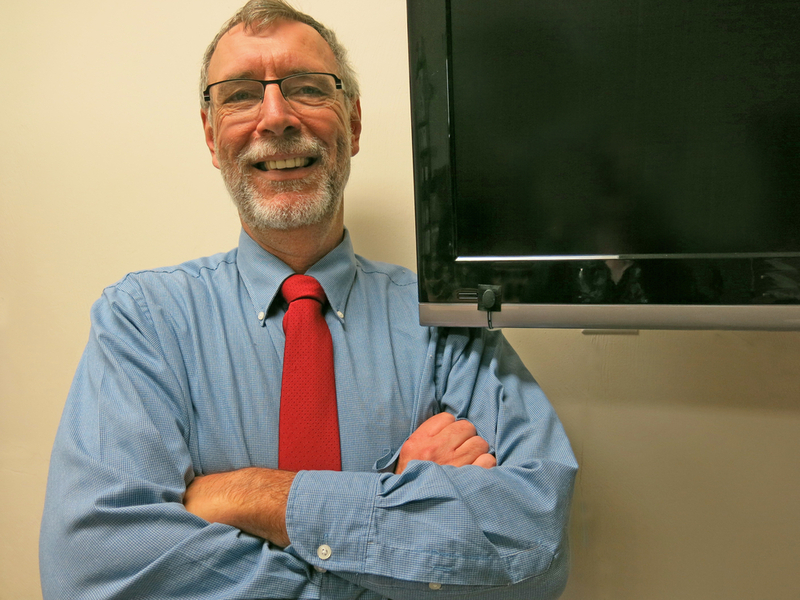 Are Healthcare TVs Really Safer than Consumer TVs? Read white paper revealing truth about consumer TVs in patient rooms being just as safe and healthcare compliant as a "hospital grade" TV. Thirty-seven TV models tested to UL60065 Annex Q.
Healthcare facilities are always looking for ways to cut costs. With the Paradigm solution, now you can! If your facility could place a 42 inch LED TV in a patient room for the same price as a 26 inch LCD TV, would you do it? 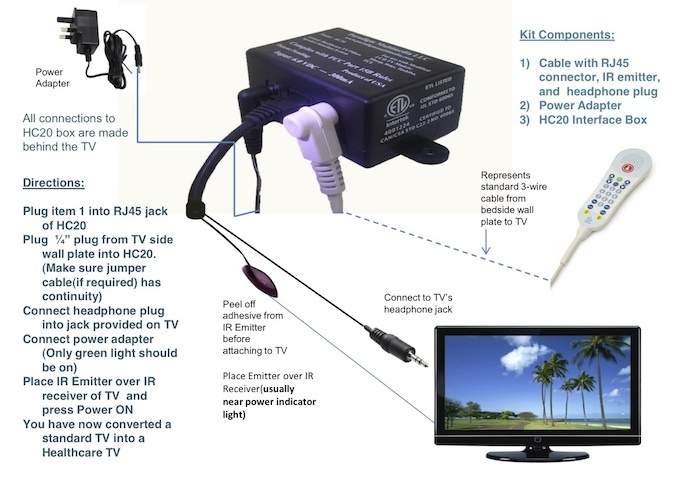 What Sets the HC20 Kit Apart from Hospital TVs? For ten years, Paradigm has been offering Healthcare LCD TV solutions using quality TV brands that are consistent with the quality image your facility wants to convey — at a sensible price. Need a multisystem PAL solution?Find out how our solutions are helping acute care facilities around the globe. Hospital Grade Televisions versus Consumer TVs. Ask about our Patient Interactive Solutions. Need to connect with set top boxes? Find out how many boxes our hardware supports. An Affordable 42 inch 3D Healthcare TV?? A 42-inch, 3D, healthcare TV? Hospital executive discusses his vision, his cost saving decision, and how patients are benefiting.